Globally renowned economist, acclaimed economic writer, and one of the IMF’s ‘top 25 bright, young economists,’ Dr Atif R Mian, has been included in the 18-member Economic Advisory Council (EAC) recently selected by Prime Minister Imran Khan. Dr Atif has been selected as a private sector of the EAC, and will be serving on the council for the first time. Nearly half of the 11 private sector members of the newly named council have previously served on the EAC that had been appointed under the PML-N Finance Minister Ishaq Dar. Each incumbent government selects its own EAC which consists of a number of private sector numbers in addition to the seven official members which includes the Finance minister, the Minister for Planning and development, the Governor State Bank and others involved in this sector of government. Dr Atif is John H. Laporte, Jr. Class of 1967 Professor of Economics, Public Policy and Finance at Princeton University, and director of the Julis-Rabinowitz Center for Public Policy and Finance at the Woodrow Wilson School. The 39 year old has dedicated his time to studying the connections between finance and the macro economy. An expert on international debt markets, his latest book, House of Debt, builds on data to describe how debt precipitated the ‘Great Recession’. He is often the go-to economist for the world media on the subject. Dr Atif Mian has been a name Imran Khan has been mentioning since at least 2014, when he was still leading the PTI sit-in against the PML-N government. Soon after Dr Atif was included in the IMF’s list of 25 brightest young economists, the now Prime Minister had said during a speech that he would never compromise on merit and would have people like Dr Atif Mian as his Finance Minister when he came to power instead of his relatives. However, the matter had gone sour after Imran received flak from religious quarters for saying he would appoint a member of the Ahmadiyya community like Dr Atif to such high office. Imran Khan had soon after retracted his statement, saying he had not known that Dr Atif belonged to the Ahmadiyya community. 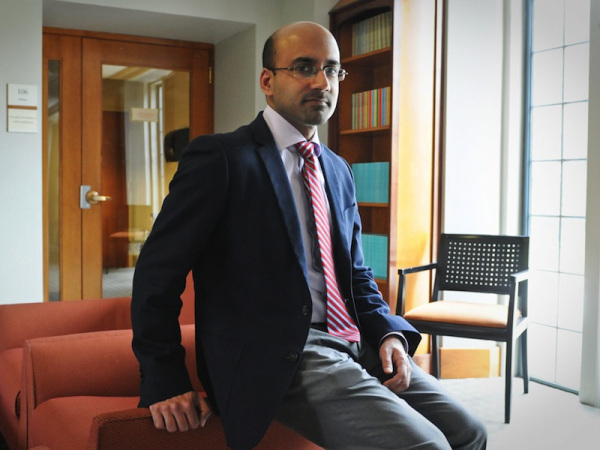 Dr Atif Mian is considered by some to be the best economist that Pakistan has on hand, and is certainly the brightest prospect the country has at his relatively young age. Soon after coming to prominence in Pakistan, he had commented on the state of Pakistan’s economy, saying that the foremost challenge it faces is boosting domestic productive capacity. “The low export numbers tell us that Pakistanis have trouble producing good quality products that they can then sell to the outside world” he had said. The systematic erosion of space for tolerance, plurality and peaceful coexistence is Pakistan’s core problem, Mian says, and that the ‘rule of just law’ has been replaced by religious extremism and violence. Dr Atif will be one of the 11 private sector members who will give their input and economic advice to the government. Prime Minister Imran Khan has decided to chair the EAC himself.